Spectacular location tucked quietly in the rear of the complex backing onto single-family homes, situated in desirable Byron and within easy walking distance to Springbank Park. 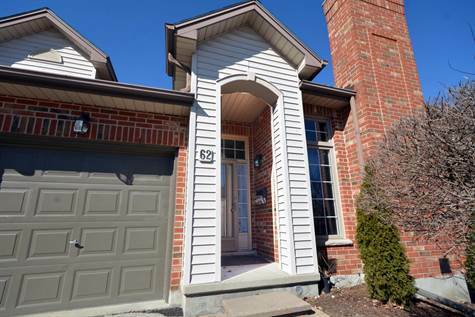 This stunning one-floor condo offers a wonderful walkout to the rear patio area. Spacious living/dining room with gas fireplace and great kitchen/ eating area with patio door to the balcony with custom made electric awning. Large family room with patio door to patio also includes a 3-pc bathroom, bedroom, storage room with cold cellar and a bonus feature, a dark room in the lower level. Many extras include central vac, engineered hardwood, attached garage with inside entry and more. Complex features a common clubhouse which is great for entertaining – small rental fee applicable. Directions: See Map - enter the complex, at mailbox area - keep right and keep going right and right again to second last unit on left.